What is HTTPS and HTTPS vs HTTP? Nowadays you may hear people urging you to modify your website to the HTTPS security encryption. Things will get confusing, and the question many business owners face is whether the hassle of switching to HTTPS may be worth it. Let's face it, until recently, HTTPS was used only by e-commerce sites because of their payment pages. So first of all, what exactly is HTTPS? If you don’t know then don’t worry about it. So here we are telling you about the HTTPS and also HTTPS vs HTTP. HTTPS means Hypertext transfer protocol secure which is the secure version of HTTP. It is the primary protocol used to send data between an internet browser and a website. HTTPS is encrypted in such a way to increase the security of data transfer. This is very important when sensitive data is transmitted, such as for example logging into an email service, bank account, or medical health insurance provider. Any website which requires login credentials must be using HTTPS. 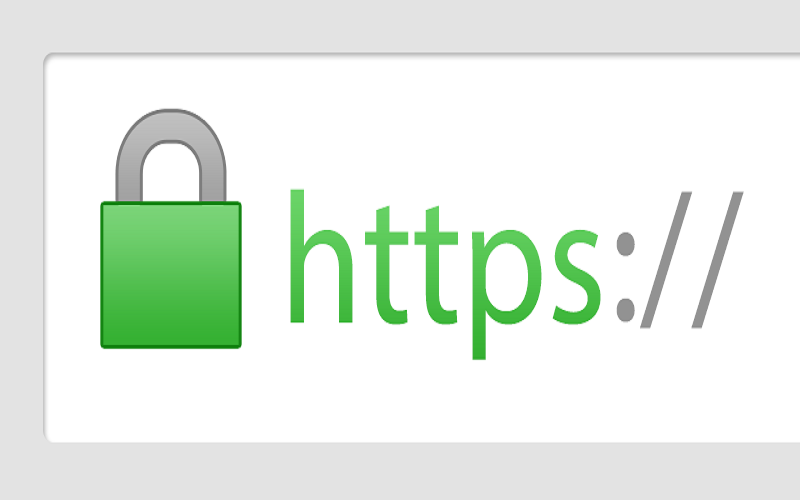 It's often recognized as showing a green address bar or padlock in the browser window which indicates a safe, secure and protected connection. Traditionally HTTPS was mainly used by E-commerce retailers or other people who are accepting online payments to make sure that sensitive, confidential payment details were sent securely to avoid them being stolen by malicious hacking activities. However, improving online security is now increasingly important recently and Google has already been at the forefront with this drive. So much that Google announced, HTTPS is really a factor within their ranking algorithm that has accelerated the switch to HTTPS. Therefore HTTPS is strongly recommended for almost any business who is dedicated to reassuring visitors to their website, securing their website, achieving a higher ranking and future-proofing their online operations. HTTPS is based on the two types of Encryption Protocol, either Secure Sockets Layer (SSL) or Transport Layer Security (TLS). Many websites use an SSL Certificate to encrypt the communication. Both TLS and SSL use an Asymmetric Public Key Infrastructure whereby a ‘public' key and a ‘private' key which are used to encrypt the data. The private key is stored on the internet server whereas the public key is, as its name suggests, in the public domain and can be used to decrypt encrypted data sent on the internet server and vice versa. Whenever your browser initiates an HTTPS session with the internet server, the server sends the public key to your browser and an ‘SSL Handshake' is then performed between the server and the browser. When the secure connection is initiated and accepted the browser recognizes the secure link and shows the web link as secure either with a green browser bar or padlock, with respect to the kind of SSL certificate being used. All communications sent over regular HTTP connections comes in 'plain text' and could be read by any hacker that manages to break into the connection between your browser and the website. This presents an obvious danger if the 'communication' is on an order form and includes your bank card details or social security number. 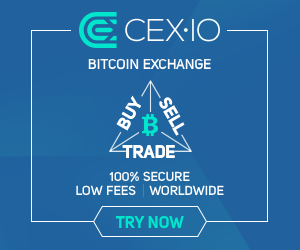 With an HTTPS connection, all communications are securely encrypted which means that even when somebody was able to break into the connection then they would not find a way to decrypt any of the data which passes between the website and you. What is the process for switching to HTTPS? If you have the knowledge about the backend of an internet site, then switching to HTTPS is fairly straightforward in practice. The fundamental steps are as follows. Execute a full back-up of your website just in case you have to revert back. Configure any internal links within your website, from HTTP to HTTPS. You will redirect any external links you control to HTTPS, such as directory listings. Update htaccess applications, such as Apache Web Server, LiteSpeed, NGinx Config, and your web services manager function (such as Windows Web Server), to redirect HTTP traffic to HTTPS. If you're using a content delivery network (CDN), update your CDN's SSL settings. Update any links you used in marketing automation tools, such as for example email links. Update any paid search links and landing pages. Create an HTTPS site in Google Search Console and Google Analytics. When it comes to the setup of the SSL certificate which is fairly straightforward, and your hosting company will have the ability to help you. More Traffic – HTTPS is a stated Google Ranking Factor so business using HTTPS will get a much better ranking than less secure competitors. 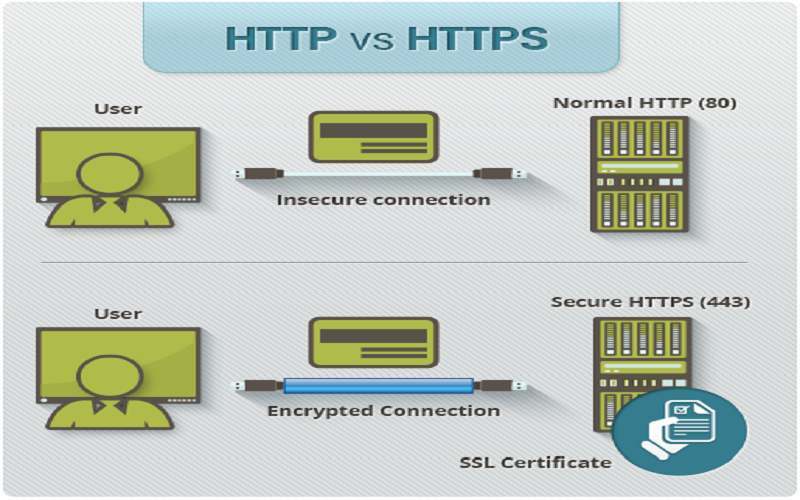 What is the difference between HTTP and HTTPS or HTTPS VS HTTP? HTTP is considered to be unsecured whereas HTTPS is secure. HTTP works at Application Layer and HTTPS work at Transport Layer. In HTTP, Encryption is absent and the Encryption is present in HTTPS. HTTP doesn't require any certificates and HTTPS needs SSL Certificates.